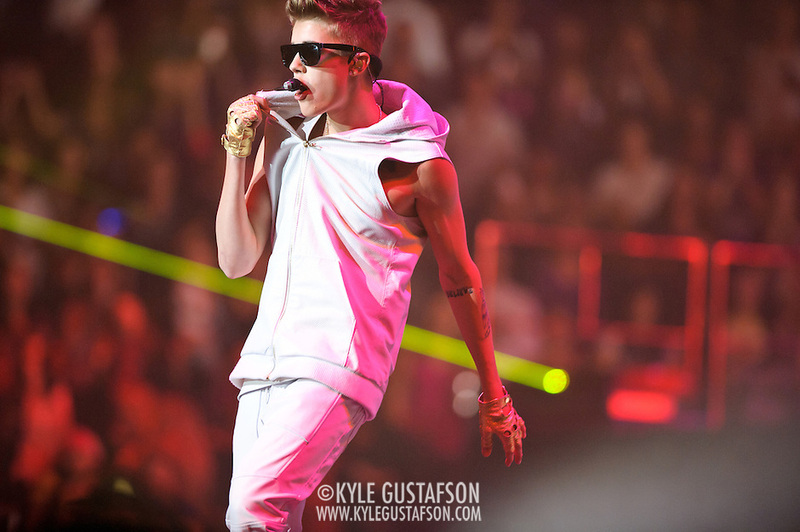 Last week I got the chance to shoot Justin Bieber. I can still hear the girls screaming. 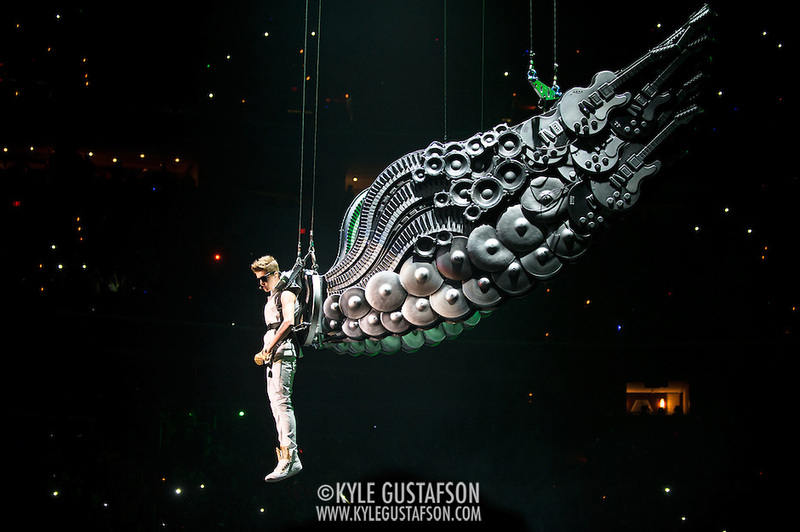 The show was an arena-sized spectacle, with Biebs making his entrance suspended in air on a pair of prop wings. After he landed, it was a lot of dancing and, again, screaming girls. We were positioned on the right side of the floor (stage left) against the floor railing. It was a unique perspective to shoot from (usually we are either in the pit or at the soundboard) and that’s always a good thing, although I was stuck with mostly profile photos. There weren’t a lot of chance to get Biebs looking directly at my lens.